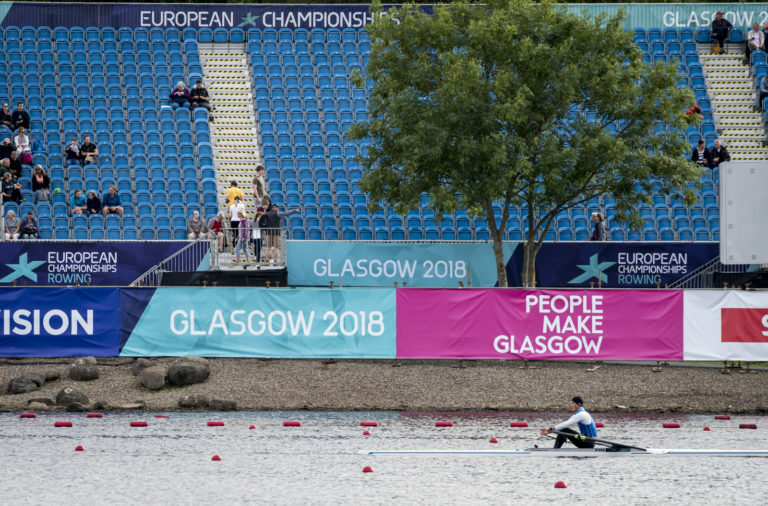 The story of Saturday at the Europeans has to be Romania, who ended the first day of medal-bagging on top of the continent, three golds, a silver and a bronze from their sweep rowers creating an early lead in the best-country stakes. 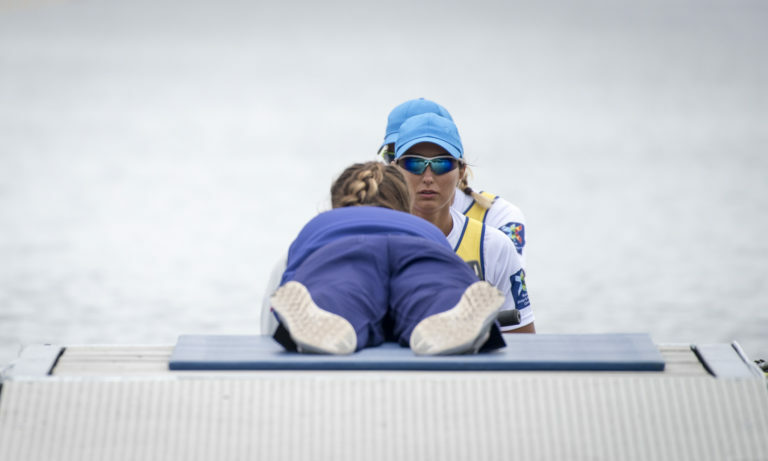 Performance of the day went to Madalina Beres and Denisa Tilvescu, who rowed to a stonking victory in the W2- before stern-pairing the W8+ to a second gold less than two hours later, Beres successfully defending both her 2017 European titles with her new partner. Their pairs race featured a rare fly-and-die British crew, Rowan McKellar and Hattie Taylor taking the challenge on early and not crumbling until the Italians and Dutch turned the screw on them in the third 500m which gave the Romanians the opening they needed. This sent the race dial up to max for a scramble to the line in which Beres and Tilvescu’s best weapon was holding a very high rate 40-41 for more than a minute, securing them the victory while the Dutch managed to get past Italy for silver. The women’s eight final was as tense as it had been in yesterday’s race for lanes, but with a sharper edge since the rowers could now leave everything on the water. Romania had the upper hand throughout, but not by much, and could never get away properly. And while Britain rated below the other two crews for the entire race, their final lift to the line beat the Dutch on effectiveness. The GB silver, a favourite with a noisy home crowd, was their first defeat of the Netherlanders this season. 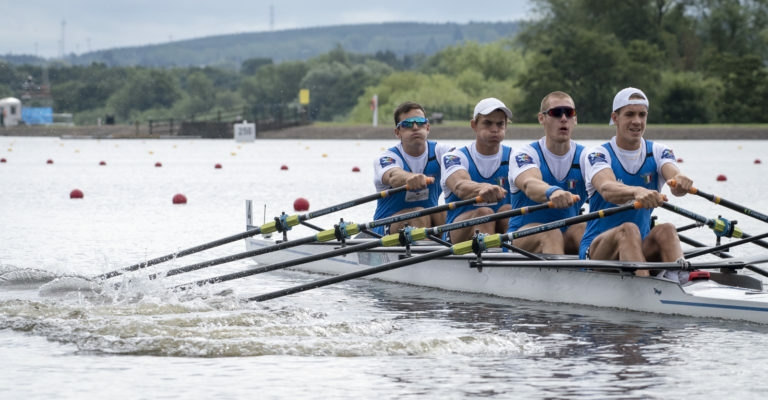 Romania’s other gold came in the men’s four, the precociously good under-23 champions justifying their accolades with a first-to-last lead while Britain and France scrambled for the lesser pickings behind them, France’s final burst timed slightly too late for more than bronze. 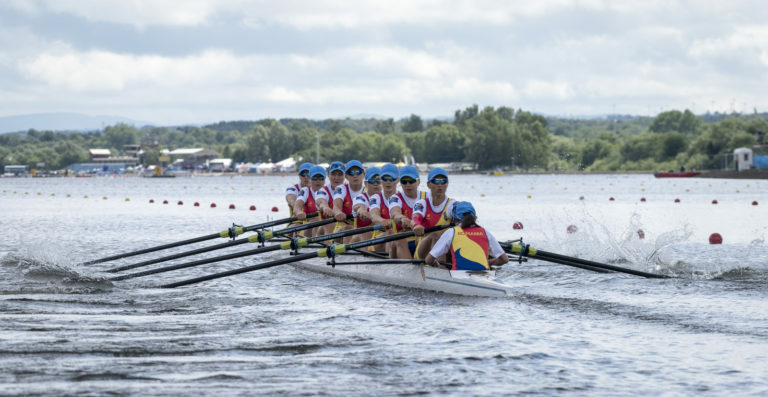 For a while it had looked as if the Romanian women’s four would also win, but a sustained effort from the Russian heat-winners picked them off seat by seat in the second half, while Poland harried the Romanians hard but could only take bronze. After the finish line a German crew-member’s hand went up, but the umpire seemed unimpressed and they were confirmed as sixth behind the Brits and Dutch. The Russian W4- time was a new European best, taking seven seconds off what was listed as having been set by GBR earlier in the repechage (but in fact was slightly slower than Russia’s heat) — conditions weren’t bad at all, with quite a bit of tail-wind albeit mixed heavily with cross-wind. The Italian lightweight men’s quad chopped five seconds off the event’s best European time with a three-length win in a turn-around after having their boat under-weight the day before. But arguably the openweight quad was more impressive, Italy finishing a mere 0.04 seconds off the European best time which itself is only nine seconds outside the world best in an Olympic boat class. The men’s quad was in many ways a jaw-dropping final, starting with Lucerne champions Britain trailing in a surprising last, and being won by Italy who took the race by the scruff of the neck at 750m gone and did not let go. At first it looked as if the Poles and Ukrainians would be the biggest challengers for the top medal, but then Lithuania summoned up a monster finish from nowhere and blasted through to take silver while the Dutch faded into fifth. Poland and Ukraine duked it out for bronze, won by Poland after a 0.02 second photofinish. 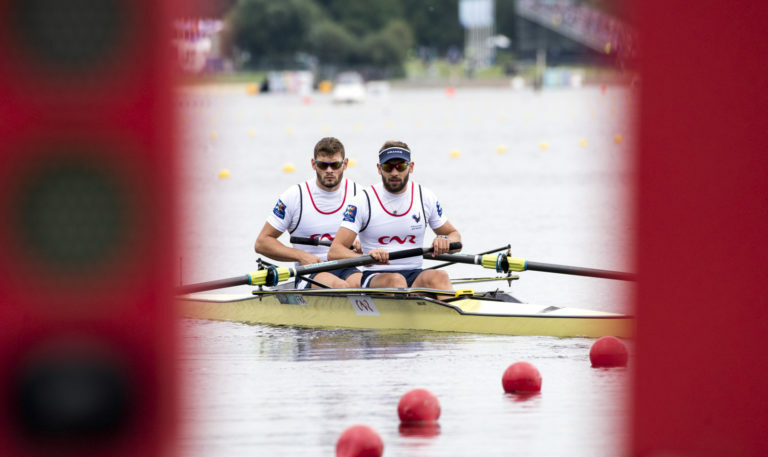 A show-down between the Sinkovic siblings and Onfroy freres in the men’s pairs resulted in another 2018 win for the Croatian brothers, a superb first three quarters from the French being eroded as the Sinkovic hammer fell in the final section of the race. The Croatians got their noses in front as the buoys changed colour, having charged through Romania with an energy which coasted them home to a canvas-verdict gold as the French discovered they had nothing left. The boot was on the other foot for the French W2x, who overturned the confident expectations of the Dutch and Lithuanians and raced through from fifth to first, most of it in the last quarter, to claim a welcome gold. The shake-up in the women’s quads this year continued with a win for the Poles, who led the whole way ahead of Ukraine and the Netherlands. 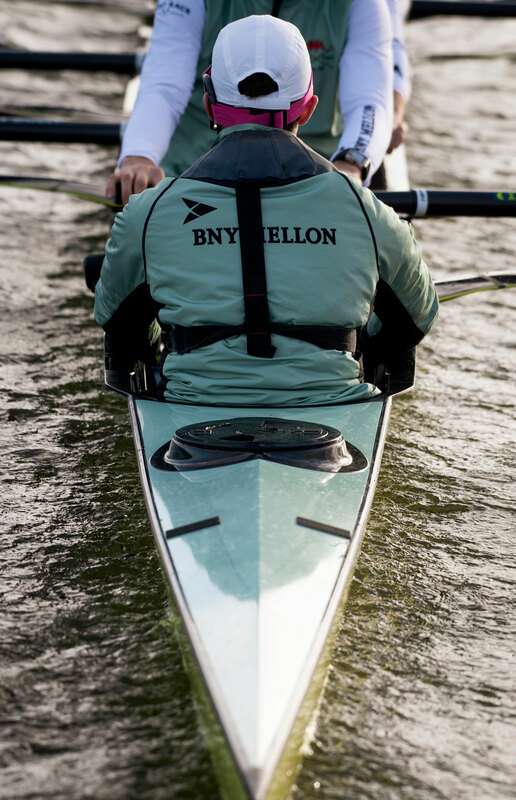 Before the finals began there was alarm and despondency at the start, when the clogs which hold the bows of the boats straight failed to release for the second LM1x semi-final. Russia’s Jury Shchelokov looked extremely surprised as his boat rose up and dropped several inches suddenly, while Spyridon Giannaros, who had reacted quicker to the traffic lights, tried to row and suffered scrapes to his shell which caused the semi to be postponed until after the day’s medal finals. It later emerged that there had been similar issues on Tuesday during practice, and that several boats had been damaged this week. 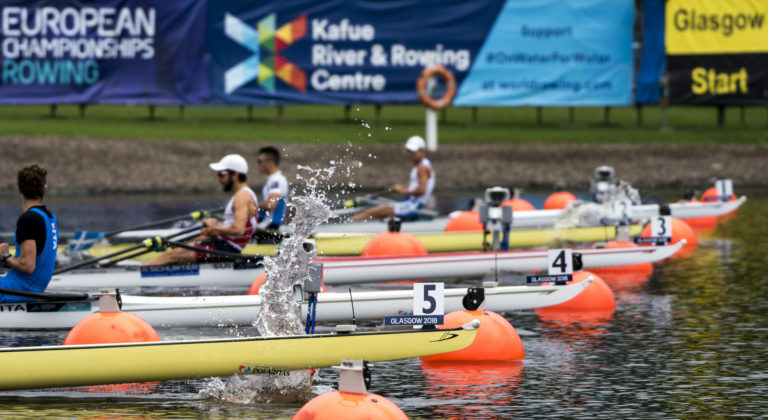 Although the start umpire began testing the clogs between races, since FISA rules do not require the use of clogs for this event they were quietly ditched for the remainder of the afternoon. A decision on whether or not they’ll be used on Sunday will be taken at the early-morning jury meeting. Back to the lightweight singles racing, and after 1600m of racing followed by a controlled-power demonstration from GBR, HUN and CRO in the first semi-final, the postponed second edition saw defending champion Michael Schmid (SUI) lead ITA and GER all the way before also being able to ratchet his effort down a notch to the line. Shadow-boxing at its best, and who knows what will happen in what is sure to be a full-on final, though Schmid looks hard to beat this year. Those looking at times will remember that the participants in the delayed semi didn’t have to weigh in again, and benefited from lunchtime wind, which may account for why it was much faster than the first one. 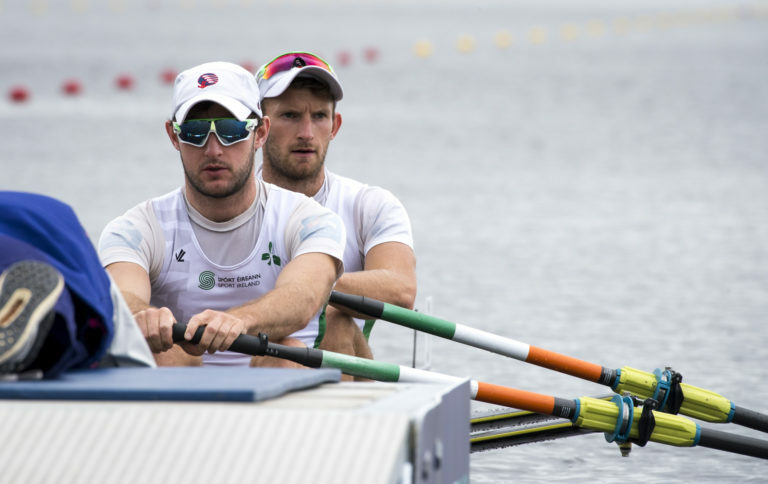 Photo Ireland’s O’Donovon brothers prepare for the start in the LM1x. The Olympic-class lightweights didn’t have it as easy, particularly in semi number two, where a lead-swapping first half and a four-way battle in the second half was resolved when Ireland’s O’Donovans found an extra gear to overcome Belgium and Poland, with Britain missing out by a fifth of a second. The first semi, which had looked likely to be similarly competitive, fizzled out when something got to France’s Pierre Houin and Thomas Baroukh, and they began to drop back as Norway, Italy and Ukraine claimed the qualifying places. The men’s singles still remains very open, Griskonis Mindaugas of Lithuania having his race of the week so far while Kjetil Borch (NOR) and Marko Marjanovic (SRB) charged in behind him. From the other semi the qualifiers were Roman Roeoesli (SUI), Vladislav Rybacev (RUS) and Natan Wegrzycki-Szymczyk (POL), all good solid scullers who are capable of capitalising on any openings they are offered. Also offering a wide-open final is the men’s doubles, where a fight to the line accounted for Britain and Poland’s very fast times, and a four-way dash in the second semi left the Dutch losing out to the Italians by an agonising 0.26 seconds. In other news, the tree which Matthew PInsent reported to the BBC was spoiling the view for spectators on the northern side of the loch briefly earned its own Twitter account for a few hours in the morning, but that had vanished into thin air by the afternoon, presumably because the tree prefers to be the strong and silent type. See all of our 2018 European Championships coverage here.